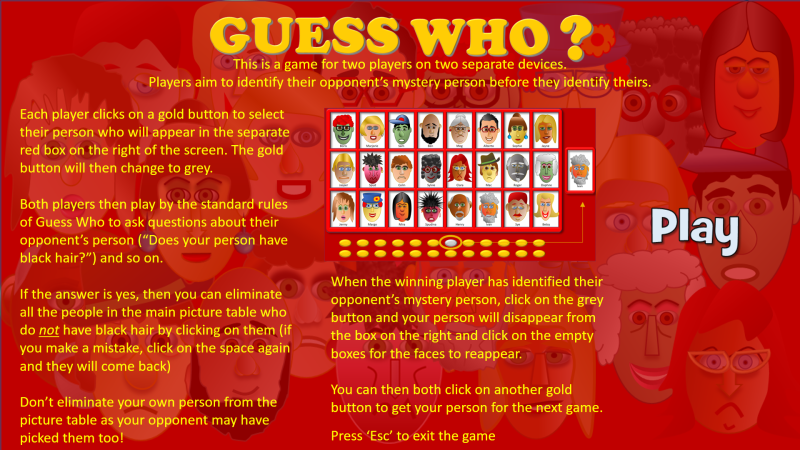 This is a game for two players on separate computers or devices. 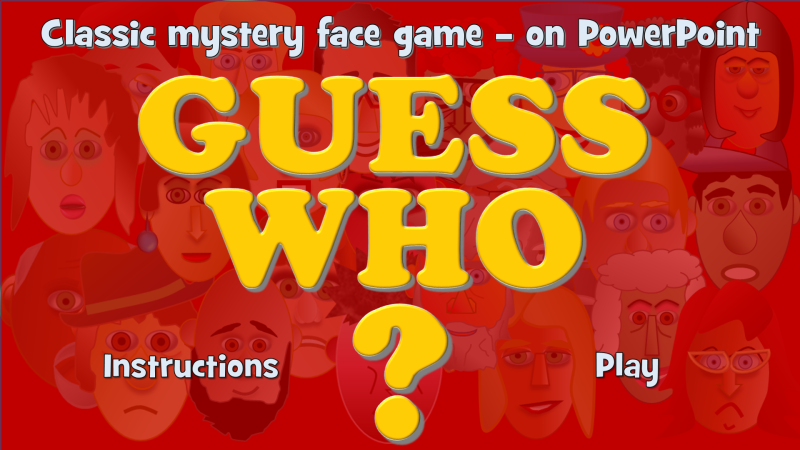 Click a button to see your person, and ask questions about your opponent’s person to try and guess theirs before they guess yours. 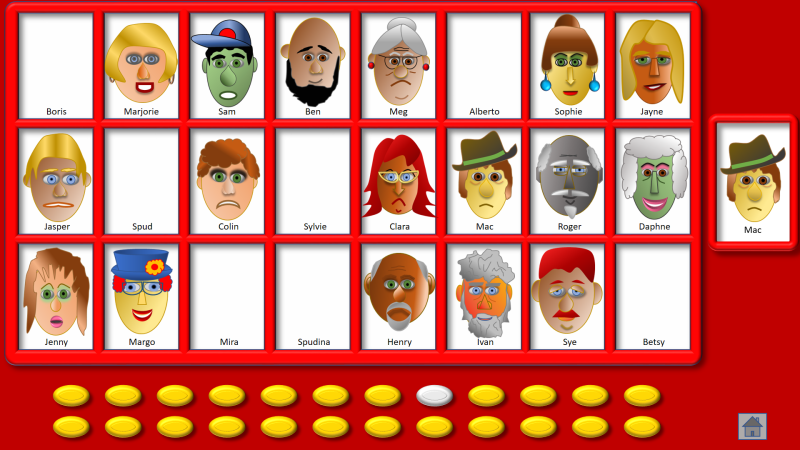 All of the faces for this game were made with PowerPoint shapes and drawing tools.